For 25 years, the mingling of fundraising and beautiful interiors transforms into support for the Philharmonic Society’s music education programs. This year, designers reimagine a home located in Dana Point’s Ritz Cove for the Philharmonic House of Design. Suzi Dailey, of Dailey by the Sea, represents the seller. 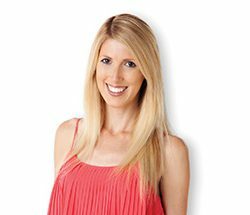 She helped coordinate the event and worked closely with the designers to integrate in the latest in design trends. 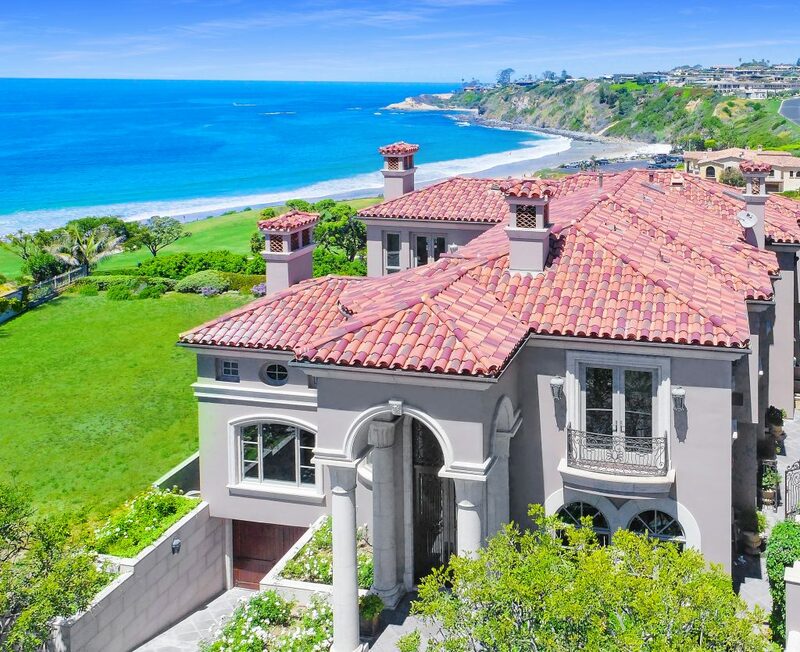 Philharmonic Society’s House of Design 2018 home sits atop Ritz Cove in Dana Point. Q: What features of this home do you think won over the committee that selects the homes every year? A: There are several criteria that need to be met to be a Philharmonic home. They loved the ocean front opportunity, having a home on the coast to use for their event. No matter where you are in the home, the views are remarkable and varied. The location probably thrilled them as well. The home is so close to twofive-star resorts and has a private gate to the beach path. Q: Tell me a little about the area, and a bit about the home. A: Ritz Cove is a very private, guard-gated community nestled between the Ritz Carlton and Monarch Beach resorts. There are only 101 homes in this secluded community. The custom built home is a three-level, four-bedroom home with an elevator to all three levels. 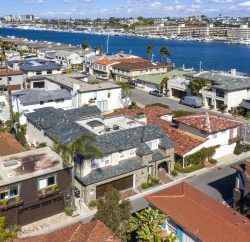 Built in 2002, it is one of the first homes along the front row that overlooks the coastline and has white water views from Shell Beach, Monarch Bay, Salt Creek Beach, and part of the golf resort. It adds up to a beautiful Technicolor view of green and blue with red from the coral trees and bouganvillias. The home is listed at $13.45 million and is already in escrow with a lovely family from Northern California. 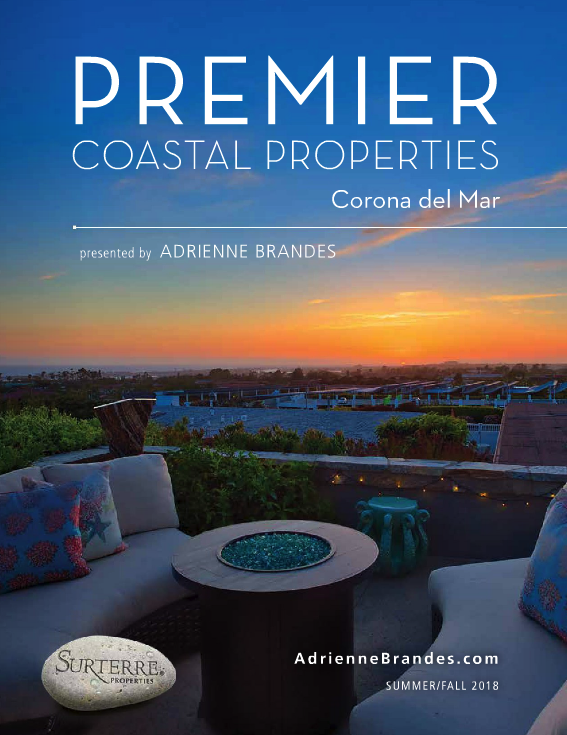 It has a gorgeous interior courtyard where you can sit and have breakfast with an ocean view in the background. The back has a pool and during the 4th of July you get spectacular views of fireworks from the Beach Club. Q: Which room is your favorite? A: It’s tough to pick but I’d have to say either the Great Roomor the 2 story library with a full wall custom made cabinet built by French Traditions. The cabinetcompany is well-known all over the world for making distressed furniture. The cabinets include beautiful accessories built into it. Gorgeous woodwork can also be found crafted on the ceiling. The room was designed by Nancy del Santo and she used beautiful shades of blue to make the room a place to unwind. There is a beautiful piece of art she cut it into three pieces and placed besidethe huge stone fireplace. I had a deep conversation with her earlier and we both agreed how design affects our health. When you are in a beautiful room, you feel good and that relaxes and brings peace to the mind and body. Q: Frank Pittman has been helping with the Philharmonic for 15 years. Which room did he design? A: The Great Room/Living Roomplus the terrace. The South American sculpture of a Medusa with all her children in her hair is the “lead singer of the area” as Frank likes to say.The drapery fabric is from Paris – silk velvet where the color is actually poured on, and I quote him, “it [color] is wonderfully imperfect, making every panel different.” You wouldn’t think placing heavy velvet panels on an ocean view works, but Frank pulls it off. The gentleness of the drapery is like water falling. He also has bowls cut from solid blocks of marble and floor lamps made of selenite, created by Ron Dyer, that layer beautifully into the room. This is actually a space where the family hangs out for fun and enjoyment every day. The large silver floor rug is gorgeous and the silver sofa fabric has a wearability factor of 60,000 double rubs. A chandelier made of real leaves and twigs coated in brass hangs from ceiling made of Venetian plaster. Interior Design by Deirdre Eagles. Q: The exterior is Mediterranean in style. How have the designers changed it? 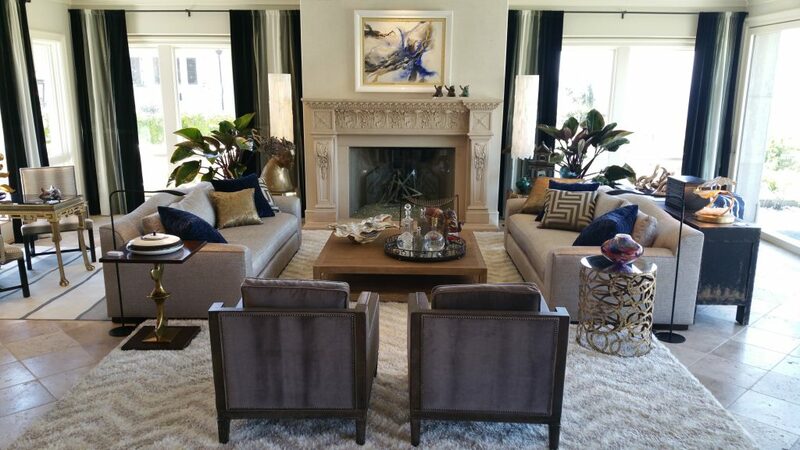 A: They brought in a contemporary look, leaving out the heavy Mediterranean feel. 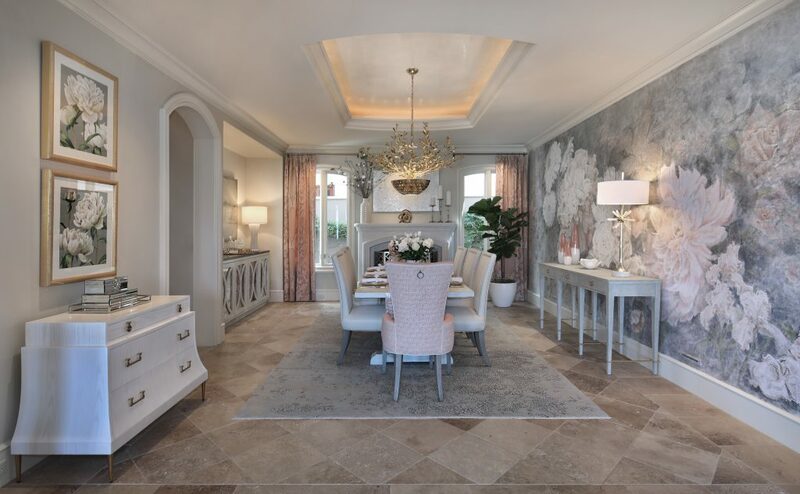 For example, the dining room now has a soft blush color scheme and the designer Deirdre Eagles envisioned the room as a place for a garden party. One side of the wall is done with stylized flowers, a water-color painted on rice paper by Eloise Lowry. Its beauty you truly have to appreciate in person. The chairs were custom made (she has lovingly dubbed them Chanel chairs) using fabrics she found at Creations Metaphor out of France. The stunning ceiling above the table is made of highly waxed Venetian plaster with mother of pearland from it hangs a chandelier made of real leaves and twigs cast in brass. The whole effect is enchanting and makes for an idyllic gathering space. Q: Tell me about the East Bedroom. A: John Henry Kaufman designed this wonderful room that combines luxury and comfort for the guests. He brings wonderful items that really make a room come alive. He’s a shopper with a mental library that doesn’t forget a detail or item. He updated the Mediterranean look in the room to reflect a contemporary look of clean lines and fresh finishes. He used natural elements with hand cut selenite lamps on either side of the bed; along with a really cool selenite firescreen. A teakwood bench contrasts nicely with the stone and iron nightstands and sits in front of the bed. The hand-wrought iron bed frame by Paul Ferrante was done in a white gesso finish to make the room pop. His charm and personality definitely pours out into the room. Q: Which room has the best view? A: I’d have to say waking up every morning in the master suite with a view of the waves crashing on the beach is a winner. The room is all about conversation and comfort. Three beautiful custom–made mirrorsframes the bed and a Tibetan hand-knotted wool and bamboo silk rug along with other items grace the room. When you walk in you say, “Wow, what a beautiful room!” Miller told me she designs for the people who live in the homes she works on and brings layers that are collected, not contrived, into her designs. Q: Who are the other designers and contributors? A: Ethan Allen, Pamela Barthold, Elisabeth D’Angelo, Anne Figueroa, Lucia Henry, Valarie Mina, Students of interior Designers Institute and South Coast Plaza also brought their talents to creating the interior of this home. With the ocean in mind, Frank Pittman brings a gentle flow of colors and shapes to his design. Q: As the listing agent, what role do you play in designing of the home for this event? A: There was a lot of coordination required for authorizations to have this philanthropic fundraiser. I acted as a liaison between the Philharmonic committee and the HOA regarding transportation in and out of Ritz Cove. It is a very private community. You can only show homes with an appointment, no open houses allowed. There are a lot of high profile people living in these homes and privacy is highly valued, so security is a big issue. But having the experience watching everything come together was fantastic. And I can’t say enough about the dedication and hard work of the volunteers working with the Philharmonic Society, professionals every one of them. Open to the public for tours through Sunday, June 3. Tues, Wed, Fri, Sat: 10 a.m. to 4 p.m.
Sun: noon to 4 p.m. Closed Monday.